It’s a bird! It’s a plane! 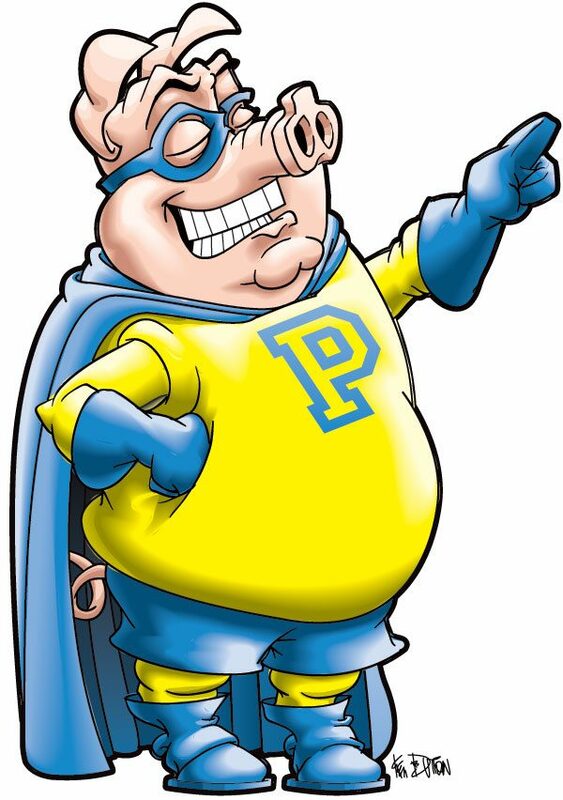 It’s a pig?… No, it’s The Pigskin Prophet! I recently completed and published a series of illustrations for the 2017 News-Sentinel newspaper area football season preview, featuring a super hero theme. 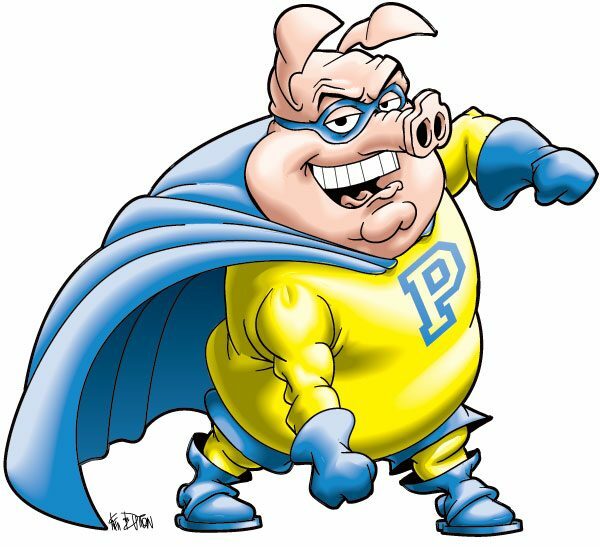 The recurring character, The Pigskin Prophet, the instantly recognizable face of prep football coverage, is back with three new illustrations (with a notable upgrade to his powers) – while still as hunky as ever. You can see more of The Pig from past years here. 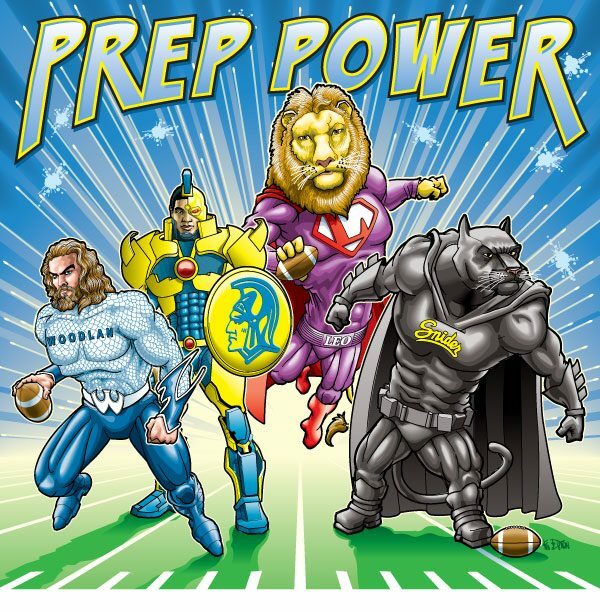 In line with the super hero theme, the cover illustration features four area school mascots, enhanced and super-sized. From left to right there’s a Warrior, Spartan, Lion, and Panther, all suited up and ready for action. 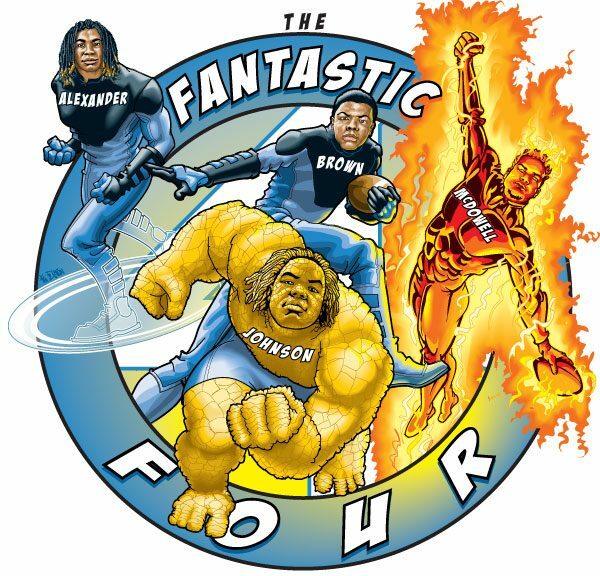 In addition, there’s artwork illustrating the rise of the area’s best defensive linemen collectively known as The Fantastic Four.